Nigerian actor-turned-activist Bisi Alimi tells his unique coming out story as the first man to publicly come out as gay on Nigerian national television. Videos 27 July, 2018 . Written by Aoife O'Connor. Bisi Alimi has a story like no other. As a young man growing up in the Nigerian city of Lagos, he watched the president declare on television that “there are no gays in Nigeria“. Living a life as a closeted gay man on the weekdays and partying in Nigeria’s underground gay scene on the weekends, Alimi soon rose to stardom as a heartthrob on a popular Nigerian soap-opera in 2003. Once the media started speculating about his love life, Alimi made history by deciding to share his truth on the talk show New Dawn with Funmi, making him the first Nigerian to come out of the closet publicly on TV. His self-outing promoted his message that he wanted to see a place in Africa “where no one is discriminated against on the basis of their sexual orientation or gender identity”. However, the heinous violence, discrimination and death threats he faced after coming out led to him eventually fleeing Nigeria, making him a refugee. 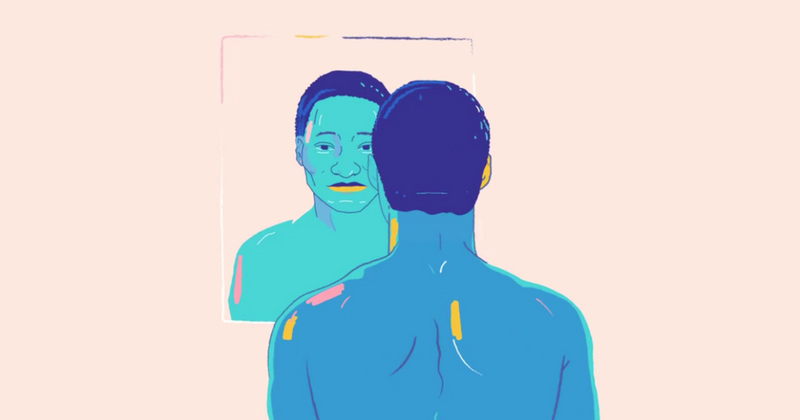 This touching animated film tells the story of Bisi Alimi’s life, self-outing and refugee journey in his own words. Since fleeing Nigeria, Alimi has made a name for himself as a gay rights activist, public speaker and advocate for HIV and male sexual health. In 2009, he was granted asylum in the UK where he now lives with his husband and son. In the past decade, Alimi has founded the Bisi Alimi Foundation, who aim to accelerate the social acceptance of LGBT people in Nigeria. He continues to pioneer for LGBTQ+ rights for migrant African communities, and make his voice and the voice of the Nigerian LGBTQ+ community heard to this day. The real story of Bisi Alimi, "the only gay in Nigeria".A história real de Bisi Alimi, o "único gay da Nigéria". 27 July, 2018 . Written by Aoife O'Connor.